Earlier checked aquaponics system water is about 6.1 ph. I need to boost this higher to around 6.5 to 7.0. Low ph is acidic, plant cutting will rot before they can take root. This happens to Lemongrass and Pineapple crown that I'm testing. 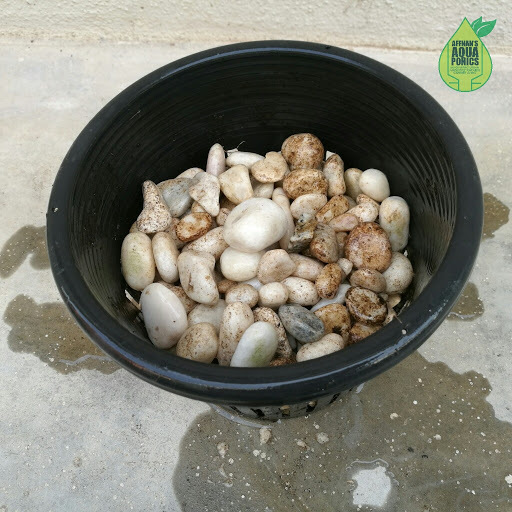 Best to put the stones in pots so that it can be easily retrieve if needed. My previous setup was using limestones before I switched to hydroton. Limestone is alkaline and hydroton us neutral.